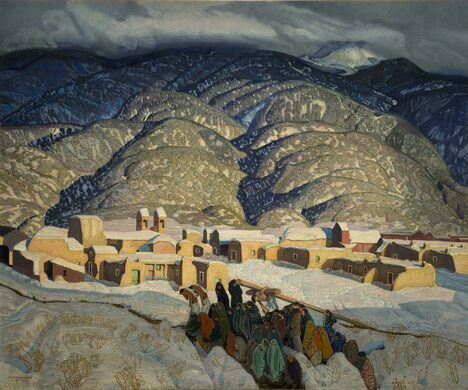 Housed in the old Navarre building across from the Brown Palace Hotel, the American Museum of Western Art’s Anschutz Collection is one of Denver’s best-kept secrets. 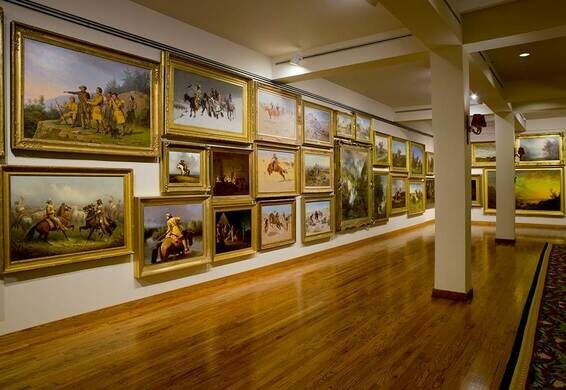 The historic building displays a large collection of paintings depicting the American West, from the 1800s through 2000s. The Navarre building opened in 1880 as the Brinker Collegiate Institute, a school for women, but that didn’t last very long. 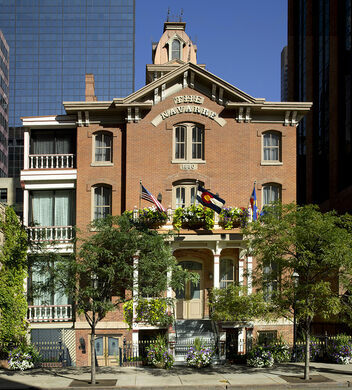 In 1889 it reopened as the Hotel Richlieu, a brothel that featured a secret underground tunnel to the Brown Palace for guests to discreetly enter the bordello via the reputable Brown Palace. Throughout its history the structure exchanged hands a number of times. After it was lost in a card game around 1914, the new owner changed its name to the Navarre, in honor of Henry of Navarre, a king of France known for decadence, and turned the place into a dining club. Art collector William Foxley bought the building in 1983, and spent $6 million turning it into the Museum of Western Art, which opened in ‘86, but it didn’t go well and Foxley was forced to sell some of his most important paintings in the early ‘90s. The museum closed in 1997. That same year, the Anschutz Corporation took over and refurbished and redecorated the place. Philip Anschutz began collecting paintings depicting the American West in the 1960s. His massive collection of paintings has been housed in the historic building ever since, but the Anschutz Collection wasn’t open to the public until 2010. Only open Mondays, Wednesdays and Fridays 10:00 - 4:30 pm. Public transportation might be the best option, although there are parking lots nearby.